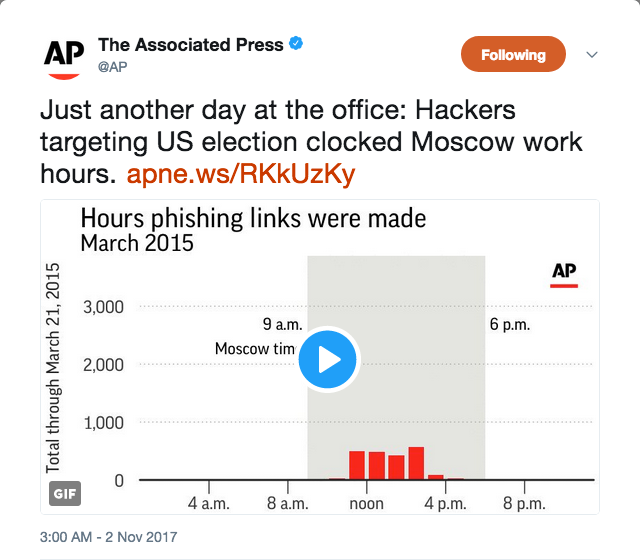 I produced a number of graphics for this piece for use in print and online, including an animation we posted to Twitter showing the times of day when relevant phishing links were generated. 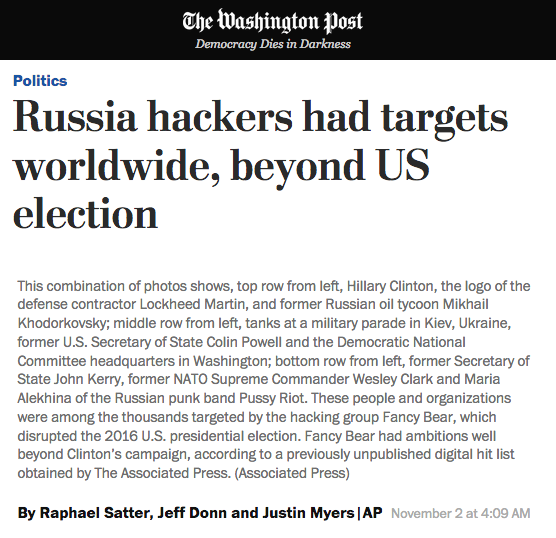 In late 2017, I worked with the AP's international investigative team to study the methods and targets of a hacking group commonly known as Fancy Bear, which often is linked to Russian intelligence services. One of our reporters had obtained records of more than 19,000 attempts to break into individual email accounts. As others on the team were determining whose accounts those were, I was called in to help find the broader patterns in what we were seeing. I eventually produced several graphics for publication and for use on social media, and shared the byline on the first of a series of articles. 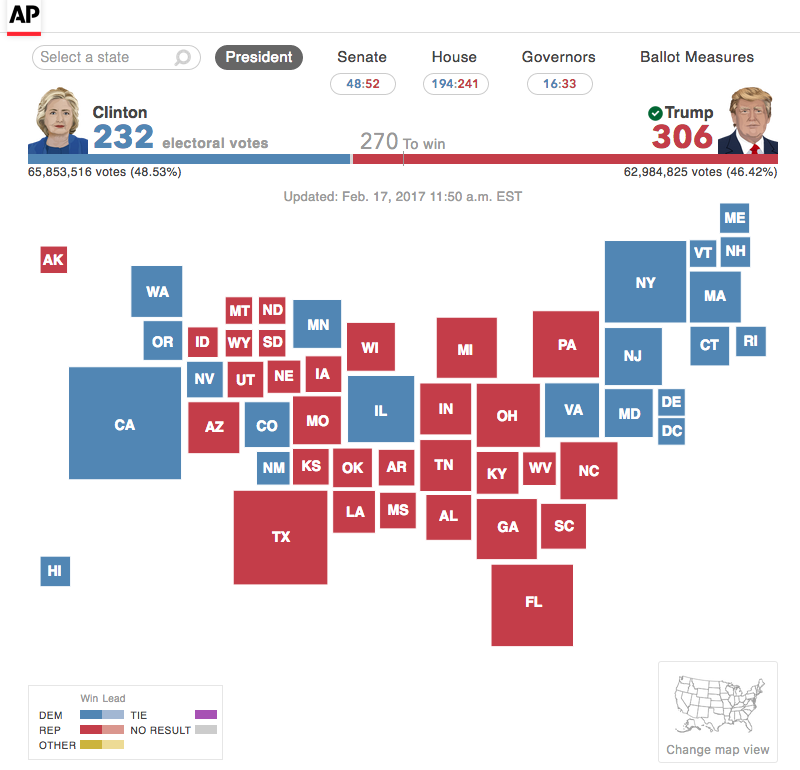 An interactive map showing presidential results for the 2016 general election. 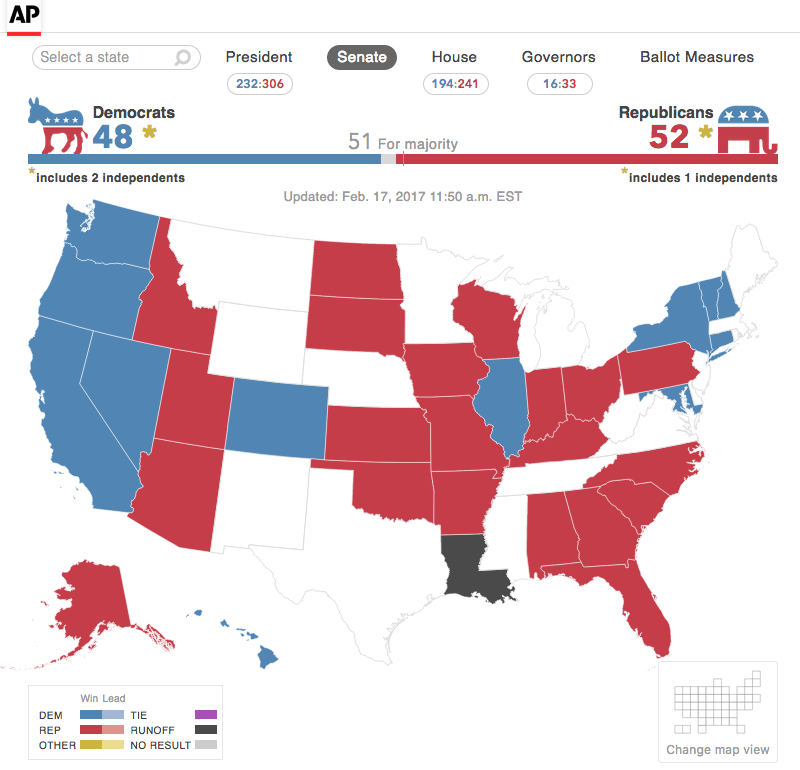 In a major American election, all eyes are on the AP. 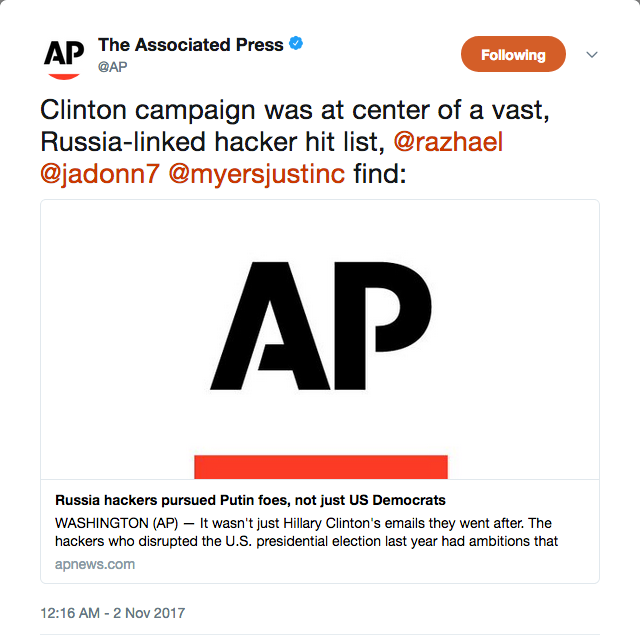 In 2016, I was one of three main developers on our backend data pipeline for the AP's election results interactives, which were embedded on hundreds of websites all over the world. It's the most heavily viewed project I've ever worked on, without a doubt. 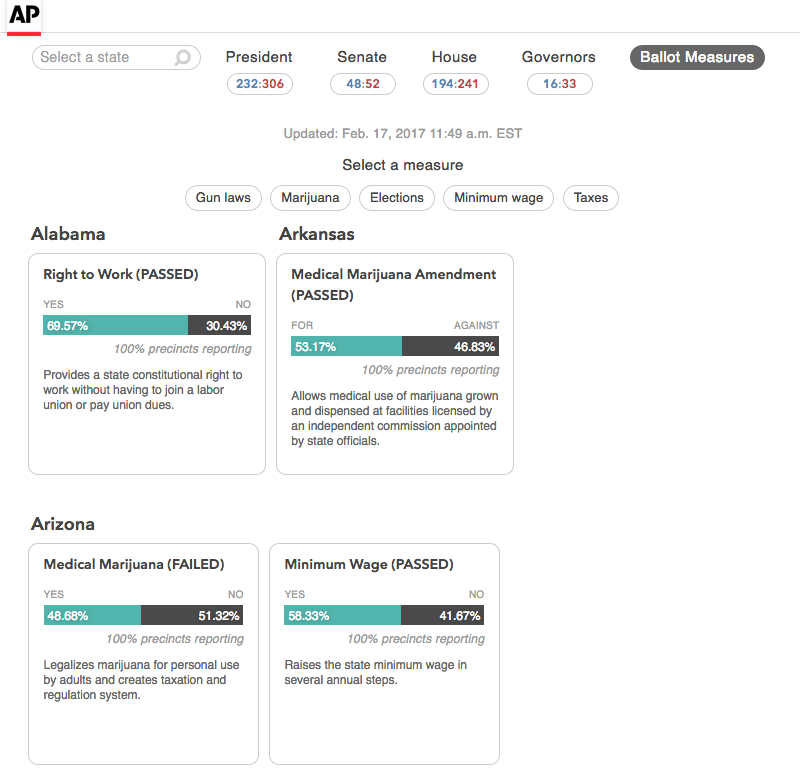 I also designed and built the entire system to render those same results as print-ready PDFs for newspaper customers and publish them on the wire, using design mocks from one of our graphics editors. Prospects: Who Will Reach College Age in the Next 14 Years? 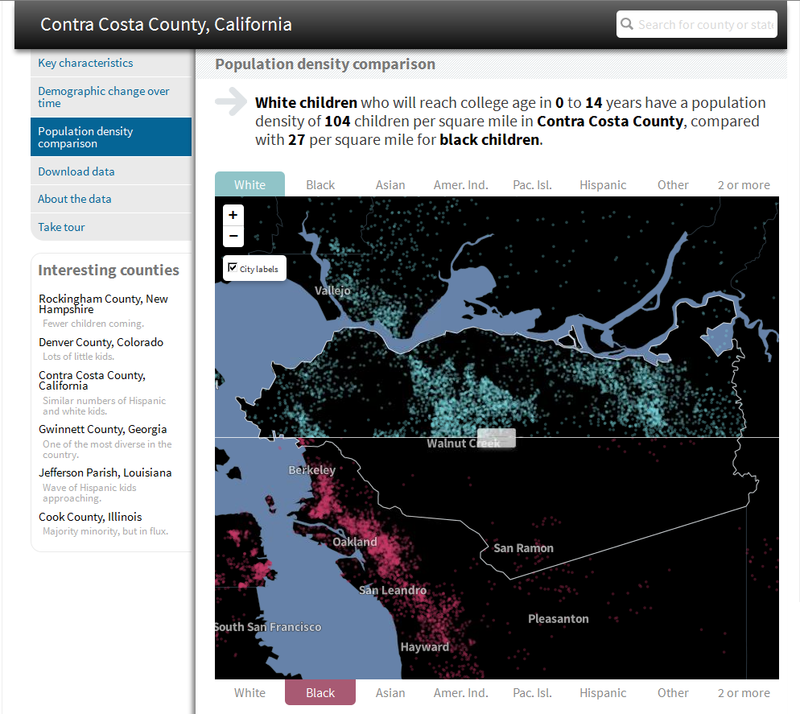 An interactive dotmap allows users to select two racial or ethnic groups and see where they do and don't overlap within a given area. The changing ethnic and socioeconomic makeup of America's children has all kinds of effects on the country's educational institutions and is the sort of thing that's easy to describe with recruiters' anecdotes and provosts' gut feelings. My task was to quantify some of these changes and make them more accessible. Using some Census tables that break down the population by racial/ethnic background and individual year of age (e.g., 4 years old, 17 years old), I managed to show the differences in demographics between some areas' younger and older children as well as the varying distributions of specific ethnic groups in those areas, both to help readers see those changes and to help reporters better focus their efforts as they explained what this meant for our audience.